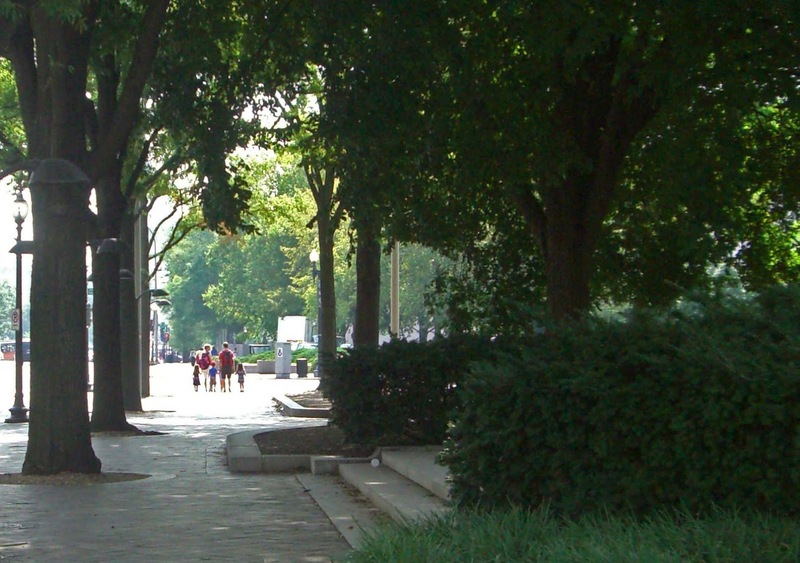 Washington DC is known for its grand marble monuments but it is also a very green town with sheltering trees and almost-secret little parks. On a muggy morning, I watched a family wander along Pennsylvania Avenue with three kids in tow. Were they were headed towards the National Gallery or planning on hiking all the way to the Capitol? When they stepped out of the shade into the sunlight I just had to stop and snap this photo. They will never know about their role in creating this moment of sudden beauty, but I do hope they had a very good time that day.